What do you do when you’re looking for a great gift for Mother’s Day in southwest Calgary? Head to Aspen Landing Shopping Centre, of course! We have a vast array of stores with gifts that will surely make mom proud. Stop by before the big day and we guarantee you’ll find that perfect something in one of our many beautiful stores. Here are some good places to start. Every occasion needs a truly heart felt card and a gift. Especially when you want to express how deeply inspiring and loved your caring mother is. Stop by Occasions for the perfect words you wish to convey and a gift to go with it. Your mom works hard! She deserves a nice glass of wine at the end of the day. At Aspen Wine & Spirits you’ll find countless award-winning wines and spirits from all around the world. Whether it’s white or rosé, she’ll be sure to blush when she opens her new favourite bottle. What do mothers enjoy more than anything? Something creative! At Color Me Mine, you can make her anything she may have been hinting at for the past three weeks. You can even paint “#1 Mom” on a uniquely cast coffee mug made by you! It’s never too late to make a change, and you can let Mom do just that at Curious. Let the wonderful, stylish staff do her do! If you’re looking for an experienced staff with a great ethos to create something beautiful with that head of hair inspired by your preferences, Curious is the place to be. What mother doesn’t love flowers as a gift? Drop by Divine Creations to compliment your other gifts or spoil her with a whole new garden! It’s the perfect time of the season to start her gardening and a trip to our beloved flower shop are guaranteed to get you two green thumbs up from mom. Self-described as the store “full of nothing you need – but everything you want”, Kala & Lime is the perfect place to just about anything mama would love. Fully stocked with jewelry, home décor, purses, books, kitchen items, and more, we doubt you’ll be able to walk out empty-handed. We all know that if there’s anything mom needs, it’s therapy – shoe therapy! A stroll down their in-store runway in a beautiful new set of chic shoes in Shoe Muse is the perfect way to remind mom how beautiful she is. Why not give mom an exceptional retail experience this year at Something2Wear? Featuring the finest designers and a unique selection of jewelry, she’ll be sure to find something she’ll love 2 wear! Their aim is to make shopping a sheer pleasure for all of their customers. 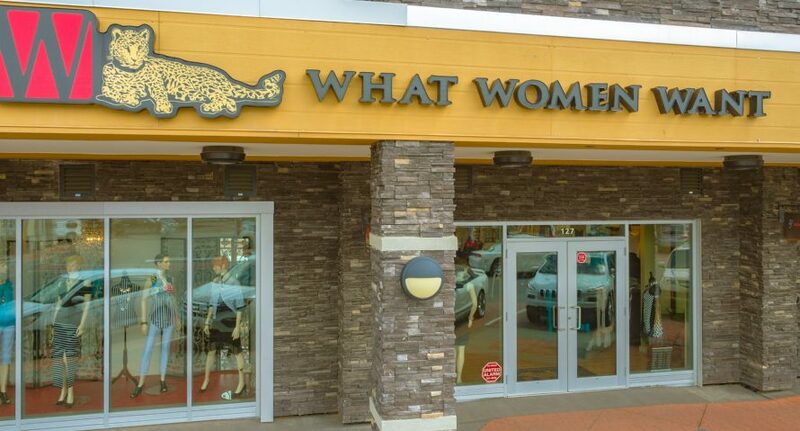 As an upscale retailer with an “inspired approach to ageless style and casual elegance”, What Women Want is the perfect place to bring mom for a shopping spree. Give her something that she can show off to all her friends with style. Last, but certainly not least, is our featured mother/daughter retail team catering to the same relationship of clientele at Mariah. With a diverse selection of brands, you’ll be sure to find something you and mom will love. Make a day of it and show her how much you care.